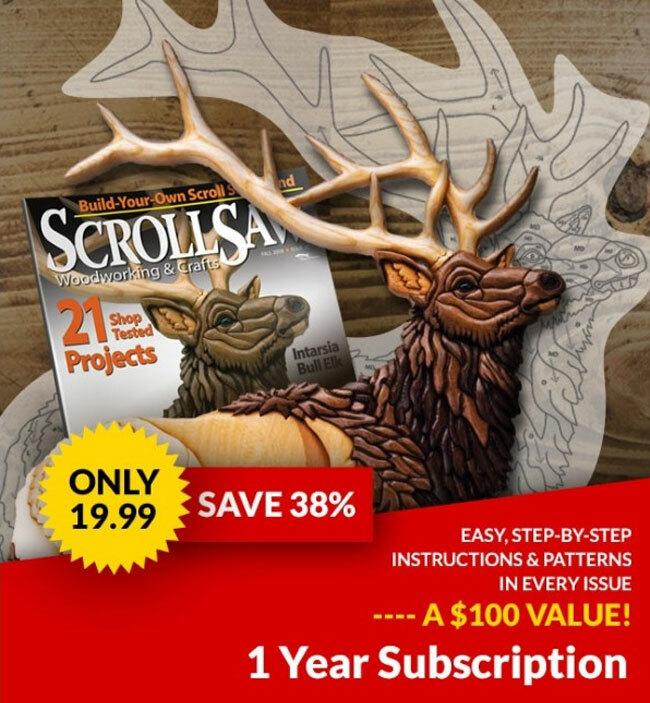 While you can cut this puzzle from any wood, I suggest using a light wood. Then, use thinned acrylic paints, dyes, or colorful stains to make the pieces stand out. Use caution because certain finishes can make the wood swell, which will prevent the pieces from fitting together tightly. Cut the pieces with a large blade and buff the finished pieces, especially the lobes and sockets where the pieces fit together, lightly with a sanding mop to help prevent sticking pieces. You could also cut the entire piece from a colorful hardwood and apply an oil finish. 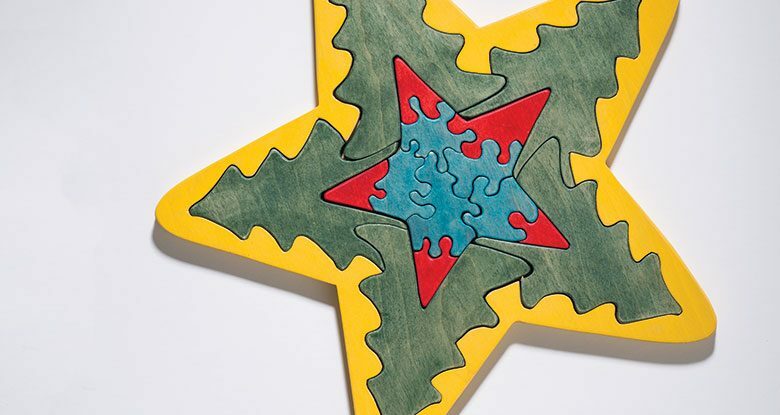 Download the Star Puzzle Pattern Here. 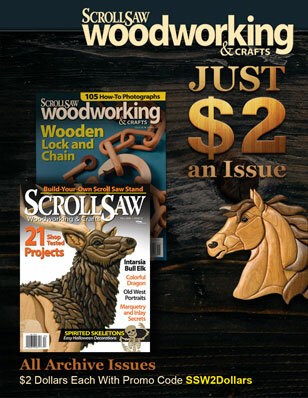 For an additional cookie cutter inspired puzzle, see Scroll Saw Woodworking & Crafts Winter 2016 (Issue 65).